Spain explored Costa Rica in the early 16th century, but were unable to colonize it due to an inhospitable environment found along the Caribbean coastal zone. A permanent settlement was finally established in 1563 in the highlands of Cartago. This cool, fertile area remained a colony of Spain for 2½ centuries. Costa Rica, with many other Spanish provinces declared independence from Spain in 1821 and shortly thereafter formed the United Provinces of Central America. 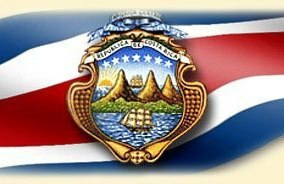 The federation disintegrated in 1838 and Costa Rica declared its sovereignty and independence. The armed forces of Costa Rica was abolished in 1949 after a brief civil war. The economy of Costa Rica is strong in agriculture and has rapidly expanded in the past few years into the fields of technology and the tourism industries. The climate is tropical and subtropical. The dry season, referred to as Summer, or High Season is from December to April. The rainy season, referred to as Winter or Green Season is from May to November. There are about 12 micro climates in Costa Rica and the temperature in each of the climates will differ. Generally, they will range from 60s to the 80s. It it not unusual to find overnight temperatures dropping down into the 40s or 50s in the cooler highlands and beach temperatures frequently climb into the upper 90s. 6.3% of GDP (2009) compared to only 5.5% in the United States. Costa Rica ranks at 24 in comparison to the world; whereas the U.S. ranks way down at 44. The civil law system is based on Spanish civil code; judicial review of legislative acts in the Supreme Court. Civil law is very different from common law, as practiced in the United States of America and the United Kingdom.